INDUSTRY.co.id - Bogor - Chairman of the Presidential Working Unit of the Presidential Working Unit (PIP) of Megawati Soekarno Putri's Pancasila Ideology (PIP) said that Pancasila is not just the basis of state, ideology, unifying ideals of all classes, but a moral dedication, a life guide, And leadership spirit. According to him, Bung Karno realized that building a country requires moral foundations and character formation, so that Pancasila is used as a guidance for the nation to avoid people going to negative things. "Pancasila in the moral sense, that is guiding us, requires us in everyday behavior," he said. Megawati also considered that Pancasila should be an inseparable part and should even be the foundation of the Indonesian education system. "Only then can education bring forth human-minded people to build, dare to take initiative, not quickly desperate, tenacious and persistent to achieve goals that are not self-oriented, but on the common interest," she said. Megawati believes the presence of Pancasila moral in education in Indonesia should be able to give birth to a reliable Indonesian man. Chairman of this PDI-P is to assess the moral of Pancasila is the capital for a person to be a leader. 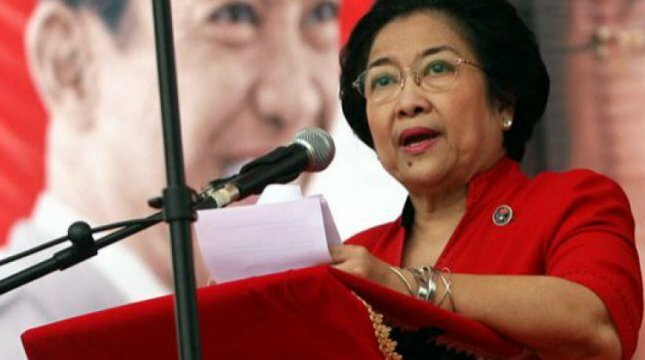 Lead Recipes On this occasion, Megawati prescribes as a leader, at least has the charm and ability to lead the people. According to Megawati, the attraction is needed in order to make other meet his invitation, but not too overdose. While the ability, he said, because leaders should be able to make people feel able to awaken people's confidence to achieve these ideals and dreams. "From that confidence will undoubtedly give birth to a will that always strives for the third condition must be able to instill the will to the people to have the power to work for the aspiration," she said. Bogor - Chairman of the Presidential Working Unit of the Presidential Working Unit (PIP) of Megawati Soekarno Putri's Pancasila Ideology (PIP) said that Pancasila is not just the basis of state, ideology, unifying ideals of all classes, but a moral dedication, a life guide, And leadership spirit.